1st Year of School: Done! Hey all! It's been a while, but we are excited to update you on some exciting happenings in the last month. Can you believe that the first year of Faith Builders Educational Ministry is officially done! What a fantastic year it has been, and we are so encouraged to give God thanks for a fantastic year. 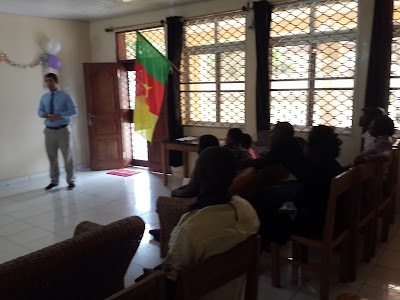 We have seen great progress with the school kids and so were very happy to have our closing program on the 12th of June and invite family and friends to come and congratulate the school kids for a job well done! The students' artwork was on display for the parents to admire. I dressed up with a tie! We also had some prizes to hand out. 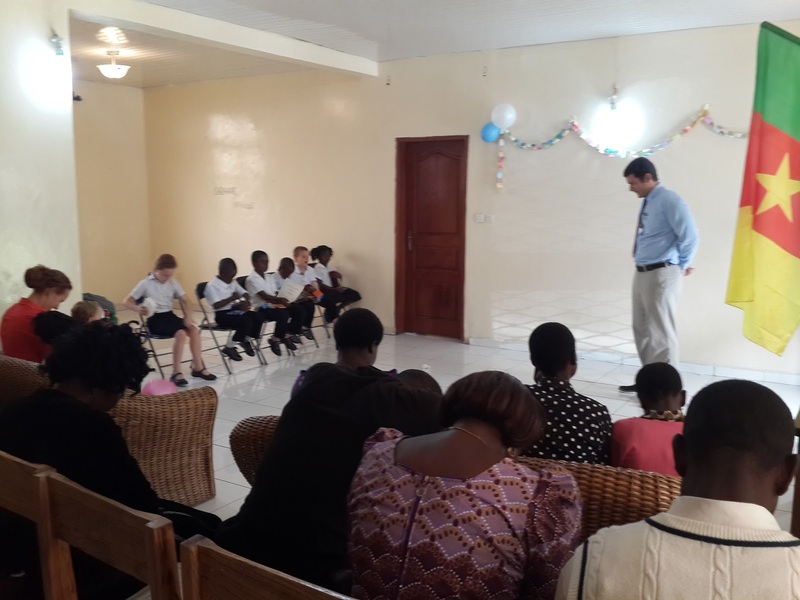 The kids presented some of what they had learned in my French classes during the school year, including the first 3 verses of Psalm 23. 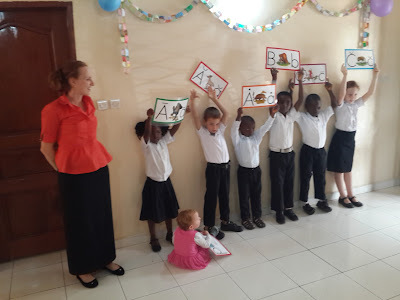 Students demonstrated some of the letter sounds that were learned to help them learn to read. The ACE school system teaches children to learn to read phonetically and this approach greatly enhances their ability to read material that would be otherwise too difficult. 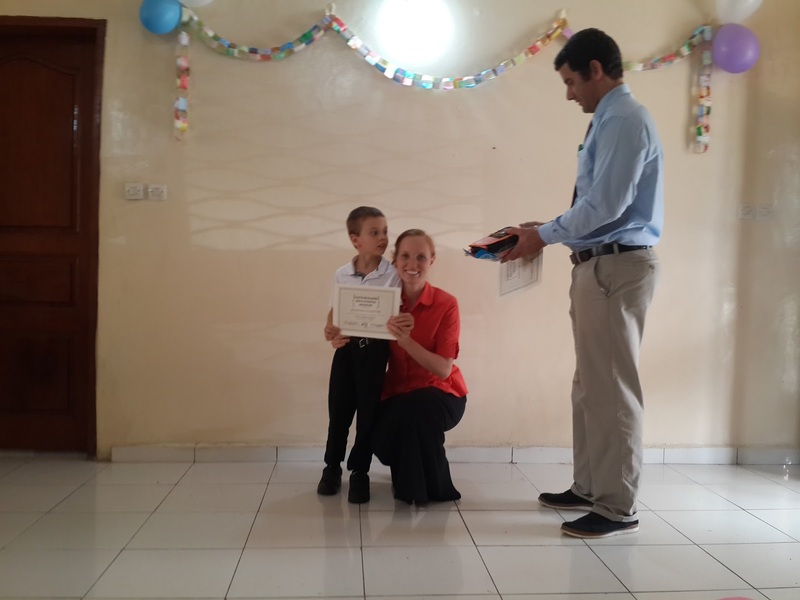 Congratulations to Jonathan for finishing Kindergarten! 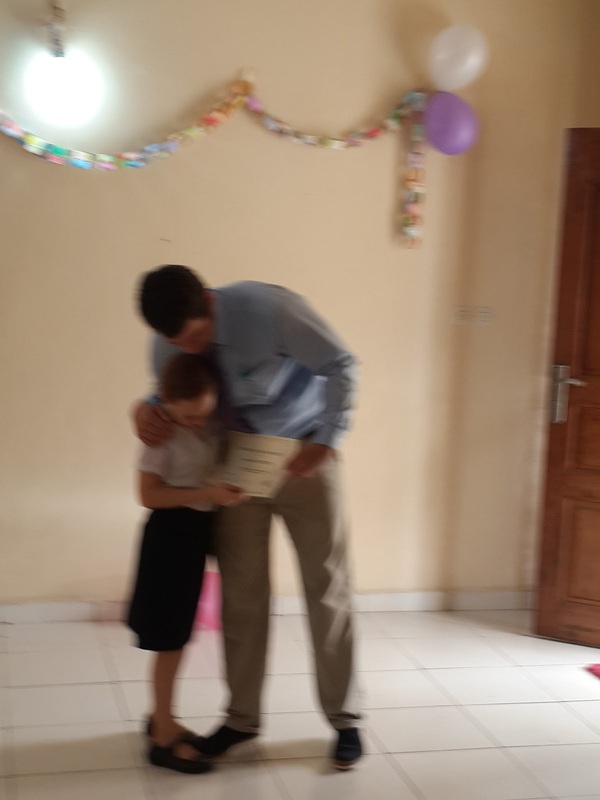 We had three students graduate from Kindergarten, and 2 from Learning to Read. 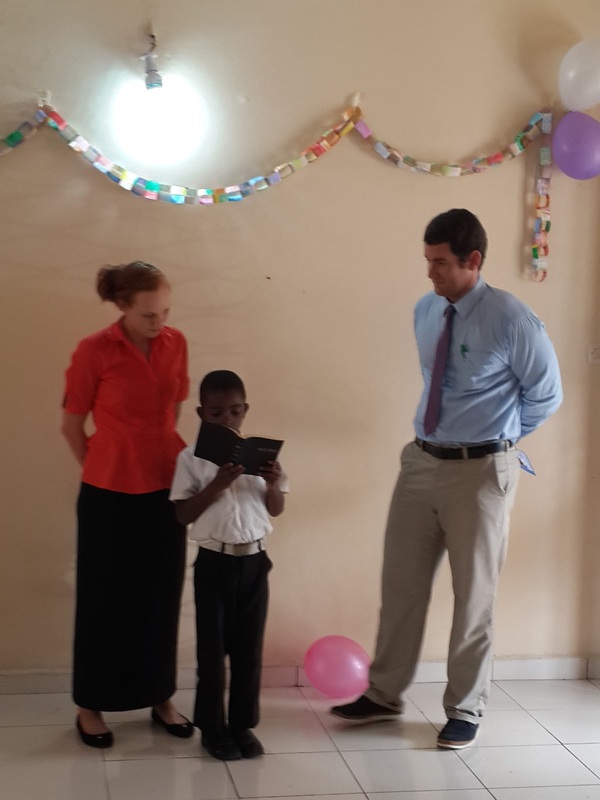 Emmanuel was one of the two to complete the Learning to Read program this year. He went from not being able to read at all, to being able to open up an NIV for the first time, and reading out several sentences. The parents were highly impressed. This is also his first Bible, and his mom tells us he has been reading it every day! Joshua Eta received awards for the most academic work completed. 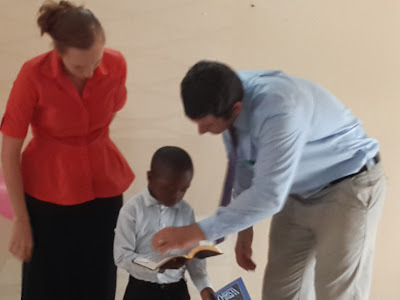 He went from being able to sight read a word here and there to fluently reading his Bible. It was also encouraging to see a great development in his character over the school year. 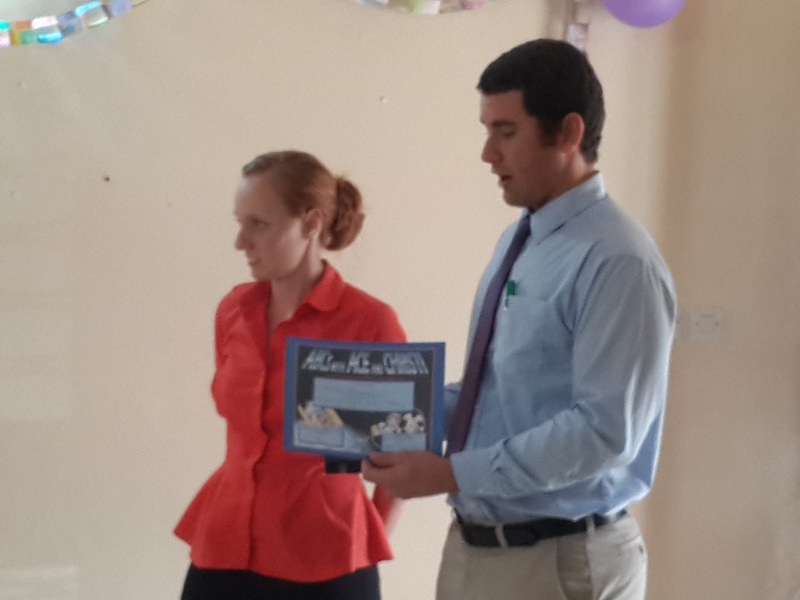 Hannah received the award for most memory work. Not only did she learn all the scriptures given, but was also the one to help teach them to the younger students. It was encouraging to see many of the parents and guardians show up for the closing program, and they were encouraged to see their kids progress in academics as well as character development. Closing with prayer. We truly thank God for a marvelous year. He has richly supplied, with many volunteers and coworkers, with the finances needed, with materials and with students. Next year, we may more than double our size, as we have 14 prospective students lined up! Please continue to pray for us and to partner with us financially to make this dream of high quality, Bible-based, character building education a reality for children here in Cameroon.